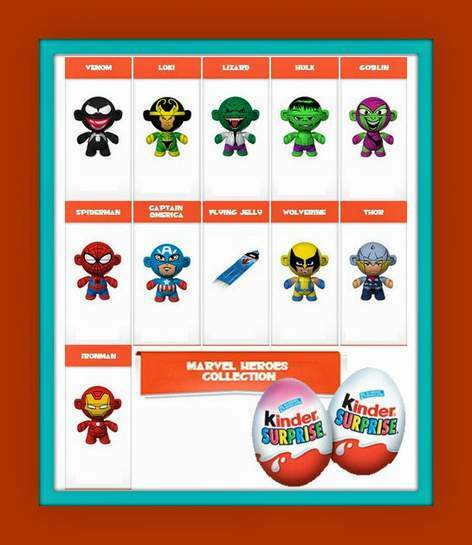 Thread to trade the marvel toys that are in kinder eggs at the moment. wow excellent my kids have started collecting these so its a matter of time before they have some swaps. Can I have Lizard please? Can swap for Green Goblin, Loki or Thor. I still need Wolverine and the Hulk if anyone has a spare. Can I have Lizard please? Can swap for Green Goblin, Loki or Thor.I still … Can I have Lizard please? Can swap for Green Goblin, Loki or Thor.I still need Wolverine and the Hulk if anyone has a spare. I don't know if anyone was travelling recently, but they had ones with selection of Airbus planes, they were good! Maybe its just me, but I did love it when they came with metal cowboys etc. in them! Swap Loki for venom ? Won't be able to respond till later though? lynne i can swap a venom for an iron man? I'llSwap Loki for venom ? Won't be able to respond till later though? seen these in Asda on offer 2day, 6 for 2 quid..had load near the entrance..
Can I take your Hulk for a Loki please? Hi, i'm looking for Loki, Spiderman and Iron Man. I have Venom, Captain America, Thor, Green Goblin (x2) and Hulk (x2). seen these in Asda on offer 2day, 6 for 2 quid..had load near the … seen these in Asda on offer 2day, 6 for 2 quid..had load near the entrance..
Can i take an Iron Man for any of Venom, Hulk, Captain America, Thor or Green Goblin? PM sent, many thanks cazillac. Can trade for Green Goblin, Loki or Thor. I bought a 3 pack in Lidl with the Avengers packaging, but one of those eggs had a lizard in it, not a avenger toy? I have lizard and iron man to swap I need Spider-man, captain America, hulk or goblin. Looking for Goblin Venom and Loki got Spidey Thor and wolverine to trade. Hi, i can swap Green Goblin for Spiderman? Hi, can I trade Loki for your Wolverine please? how does this work guysI bought a 3 pack in Lidl with the Avengers … how does this work guysI bought a 3 pack in Lidl with the Avengers packaging, but one of those eggs had a lizard in it, not a avenger toy? I made this mistake, I bought a pack in asda, but didn't realise till I got home it said only one of the eggs is a marvel one. I made this mistake, I bought a pack in asda, but didn't realise till I … I made this mistake, I bought a pack in asda, but didn't realise till I got home it said only one of the eggs is a marvel one. I have lizard, iron man or captain America to swap and I need goblin. Anyone interested in a swap? Thanks in advance. Sounds good. How are you guys posting these things? I'll PM you if we have a deal?